Ireland’s most energy efficient beer cooling system NOW PROVEN! Ireland’s very first independent report into the energy consumption of beer cooling systems was released last week, and the results are in. The study was carried out by the Nimbus Embedded Systems centre in Cork Institute of Technology. This facility specialises in (among other things) the analysis of energy efficient systems and in research and development of cutting edge energy efficient heat transfer designs. Three coolers were studied on site as part of the comparison and analysis – a conventional ice bank system, a full glycol system and our brand new Kilkenny Vx prototype beer cooler, which features a number of distinct design improvements on the other two systems. 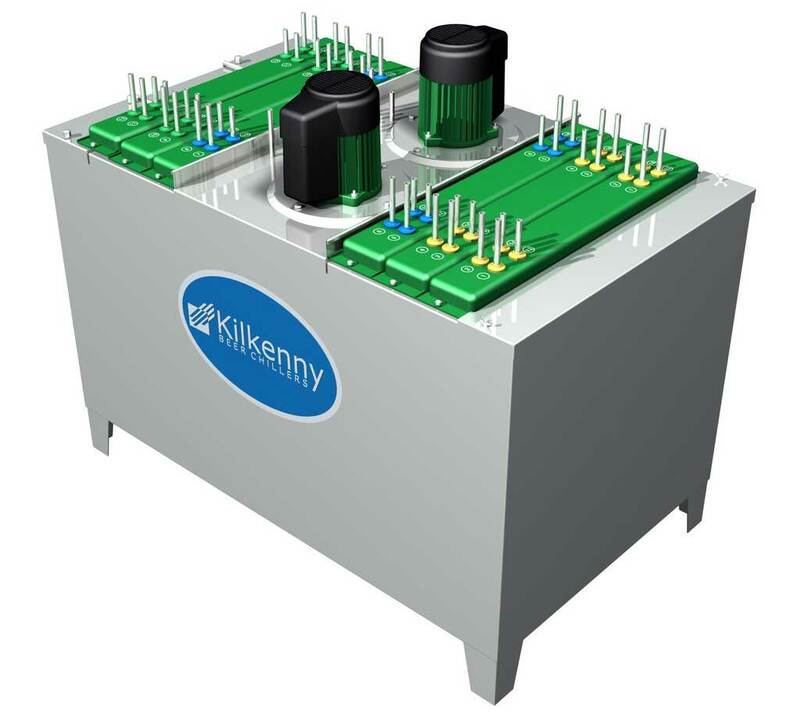 The Kilkenny Vx prototype was the best performing cooler of the three by far, with energy consumption below both the conventional ice bank (which was expected) AND the full glycol system. In fact, although the full glycol system in this trial had been installed in a venue with fewer taps and lower beer sales, it still used more power than the Kilkenny Vx prototype. For more information on energy efficient beer cooling systems or to discuss the findings of the report, please get in touch with us.